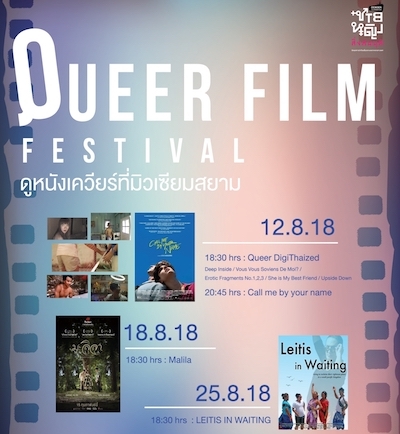 This month, Bangkok's Museum Siam is hosting a Queer Film Festival. There will be free outdoor screenings of contemporary gay films on 12th, 18th, and 25th August. 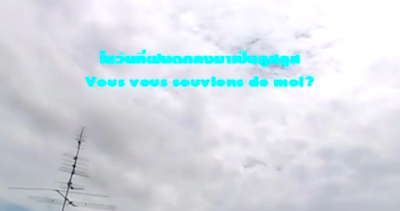 The event begins with Queer DigiThaized, five short films shot on digital video, including Thunska Pansittivorakul's Vous vous souviens de moi? (ในนฝนตกลงมาเนสส). The five films were selected by Nontawat Numbenchapol, director of Boundary (ฟ้าต่ำแผ่นดินสูง), who will take part in a post-screening discussion with Tanwarin Sukkhapisit, director of Insects in the Backyard (อินเซค อินเดอะ แบ็คยาร์ด).